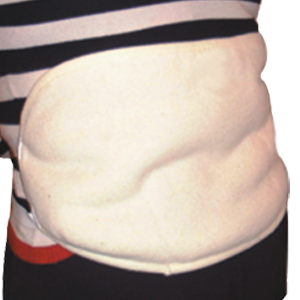 This warmer can be worn discreetly under clothes at anytime day or night, the elastic straps will adjust to fit everybody. Let nature help with your back pain. This should be worn with the fleece towards the skin. This warmer can be worn discreetly under clothes at anytime day or night, the elastic straps will adjust to fit everybody. Let nature help with your back pain. This should be worn with the fleece towards the skin.